On the eve of the NATO-Russian meeting in Lisbon and following the G 20 gathering in Seoul, policy makers are looking with emphasis, to the US Modern Grand Strategy which managed to impose itself, as a conduit for easing international relations. Nato can be at a new dawn where under the same umbrella, a Nato West and a Nato East, will project cooperation for the best interest of humanity, hence perform attention to pacific areas and to the near “Intermarrium” abroad. From here partnering between the US/EU and Russia from one side and concerting relations between the US and China to generate a dual engine for economic growth from another, are two pillars for the 21st century peaceful performance. While transition is supreme until a better framework is developed and defined for international trade, education exchange, immigration fluxes and global security; it is inevitable that priorities should be set. From above food provisions, aid delivery, energy security, currency oscillations, finance regulations, reformed governance, are all actual requirements in our contemporary world. Data about the economic recovery will fluctuate and sentiments will be subject to ups and downs, yet without optimism in US consumer spending and increase in Chinese spending it is widely accepted that the economic comeback will lag and be threatened by either inflation or deflation. Analysts share the need to rebalance international economies, however in doing this, the need is to recover the US market and simultaneously create other growth hubs, especially in China and India. This will naturally affect the geopolitics of the land mass area stretched between China and Portugal. The US policy acting as ballerina will spur the recovery and reduce the debt, open to immigration, focus on education, integrate with Russia, concert with China, establish a stable rotation in government in Iraq and facilitate the “Jirga Governance” in the Afghanistan theater. The US will enforce the mechanism to change the attitude of the Iranian guards; it will broker the talks between Israel and the Palestinians and project international cooperation on tense fronts. Be these the Korean Peninsula, the African Continent, Guinea , Madagascar, or the Thai kingdom. This policy will be implemented faster if coupled to an enforced role of balancing nations like, Brazil, Vietnam, Egypt, Canada, Japan, India, Turkey, Cuba, Norway and Lebanon. Efforts in the coming decade will focus on rebalancing international economies and currencies, where the formula is to have both US and Chinese consumer spending; manufacturing and employment at satisfactory levels. Whenever US lawmakers will agree on the recipe for growth and extend Tax and regulation holidays for start-ups, introduce a 4 % flat VAT on all items under USD 100, allow further immigration to reach 450 million inhabitants by 2050/2060, reduce the long term assistance to unemployment up to a maximum of 20 weeks, the outlook for the economy will shine. Much will be left to be done such as defining a plan to transform public waste into wealth and expand exports in goods and services. Furthermore investment in infrastructure, education and human resources and the gradual plan to reduce national debt without affecting the recovery. As much as the new START treaty needs to be passed in both chambers hopefully by the end of the year with a bipartisan wise action. Rumors are spreading about a US – Israeli understanding to freeze partially the settlements in exchange for some assurances, in order to reactivate talks with the NPA, and this is a very good thing. We need to see a Syrian position versus peace clarified after the announced Israeli withdrawal from Northern Gajar, so that both nations Israel and Syria can reach out in direct talks in Paris early next year. Whenever there will be no advance this will deteriorate the stability and complicate further the geopolitical environment, widening the probability for strife and ultimately of a major war. The evolution in the Five plus One talks with Iran will seek a new accord to impede any military use of nuclear power, as much as peace talks will define an interim Federal Palestine and the successful international effort to achieve justice in Lebanon, will be all pivotal, to synchronize the Chinese advance in Middle Eastern Affairs to be acting in tandem with international efforts to stabilize and ensure progress in the oil rich territorial area. In the “Third Dynamic” and in “The Crossroads” I elaborated about factors and dynamics influencing world affairs, and the requirement to put the third dynamic under strict control, and to avoid any halt to the march of justice in Lebanon. While observers agree that no party has any interest to start a conflagration, it is expected that the indictment of the STL will be announced and that the reaction of the accused will not exceed rhetoric. In fact any wise calculation of benefit and loss will decisively not alter the acting formula before the trial will stand and the verdict issued. And even then, when the verdict is known, it is doubtful in front of the Sudanese example that a major event will change the Lebanese status quo. Pessimist observers and verbal threats will not succeed to stop the work of the STL, and the indictment will be announced as much as the trial and the verdict will be accomplished. The solution is not to threaten Lebanon, rather to bring to justice the perpetrators , but in the same time to create a mechanism of salvation “ A commission for Prosperity and truth “ that will look into the crucial topics of the cedar nations and will seek rapprochement and harmony between all communities. A regeneration of State Affairs is much on demand, approval of the budget, setting a policy for reforms and route map for jobs creation. Lebanon ‘s place is to become a pole for conventions specialized in Liquids ( water, beer, vodka, whiskey, wine, Oil, etc…), Banking, Aesthetics, Pharmaceutical and inventions. The IRGC, the Syrian regime and Hezbollah can operate in darkness but they will fail to affect the events ahead. The military build up and power accumulated will oblige them to think twice before unleashing a conflict or to surrender in case of it. Two red lines exist and these are the security of the state of Israel and the sovereignty, democracy and independence of the Lebanese state and its capability to exert a monopoly of coercion and activate a doctrine of defense to reach permanent and just peace with all its neighbors including Israel. The Lebanese state is not a pariah rather a full expression of auto-determination of a civil society and its future will not be played by armed gangsters. Violence and peace always differ, but with a heavy price and toll for both, be this of destruction or construction. Any strategic error to start the HOSTILITIES will expand into its effects to a very wide area. In any case this will not alter the US geopolitical perspective to impede Iran from acquiring deliverable nuclear weapons and to exert diplomatic restraint in the Iraqi and Af-pak theaters. All Lebanese parties should relax to the STL indictment to be announced in the first week of December, and must work to instate a “Commission for Progress and Truth” and find a compromise enabling the accused to be detained for a certain period, and to pay a material sum to have the pardon for their murderous action in killing so many innocents and politicians. Furthermore the focus must concentrate on evolving the state of Lebanon to become a Tourism example and an engine for growth. This is possible if justice will pinch or soupcon an accepatable outcome for the citizenry. There will be no “Casus Belli”, simply because who will dare to change the equation will need to face the reaction expected in two phases. The first will be slow and intense, issuing alerts and warnings, and the second after assessing the situation will give the green light for a major military invasion that will be overwhelming, disproportionate, decisive, aggressive, fast, very powerful, incisive, unrelenting and irreversible. Hezbollah will lose once and for all, and the IRGC will have less influence in the whole area. Syria will stand idle even after bombing all Hezbollah targets inside its territories to erase the lines of supply. The International community will broker the “Commission for Progress and Truth” as much as it did with the STL for the benefit of freedom, democracy and liberal markets and thoughts. Whenever Hezbollah will gamble, the alliance between the West/Israel/Gulf Countries/Lebanon and Syria will oblige the IRGC to lose an important card to save the regime itself from perishing. The Syrian commander in chief has no other choice than to align himself with the alliance and work hard to find diplomatic solutions, for the benefit of all parties. Palmyra and Akkar will both become hubs for alternative energy to provide electricity and water to an ever increasing population and consumer spending. Peace will prevail defended by a formidable armada and an extraordinary display of power, diplomacy and intelligence. The indictment will pave the way for the tribunal to issue its verdicts and the compromise will be to reach peace for all, as there is no alternative to this than a war that will allow Israel to use Lebanese offshore fossil hydrocarbons. Charities will play a significant role to impede war, and whenever an armed conflict can not be impeded then these will help to rebuild the damages and to express post-bellum sound governance. The area can grow and seek a common currency between Lebanon, Jordan, Iraq, Syria, Turkey, Israel, Egypt, Iran and the GCC nations, confluent into the Unity of the Mediterranean or it will become a theater for strife and interminable conflict. Following the last G20 meeting and the expected and upcoming NATO-Russian meeting, observers can easily affirm that the US Modern Grand Strategy based on a unique partnership with the EU and Russia and concerted relations with China is already bearing its fruits, meager and not. Easing international relations and amplifying areas of cooperation in different sectors from trade, education, immigration, security and extending to food, aid, energy, currency, finance, reformed governance, is a requirement and a necessity in our contemporary evolving world. Latest diffused data show some optimism in consumer sentiment in the US, and this is a welcomed indicator, although it can not affect the results of the mid term elections. In truth a co-habitation will emerge and this will, contrary to perceptions, reinforce in my view the US market and world economy. While analysts can agree with the need to rebalance international economies, not to heavily rely on one engine and market, it is widely accepted that in the coming decade recovery/growth can emerge mainly from the US and it will be a synonymous to acquiring a major boost for peace efforts and to project soft/hard power. From here balance in the US domestic politics will be a stabilizing factor albeit charged with verbal debate and political polemics. How geopolitics between China and Portugal, will react is unknown. Yet it is very rational to sum-up the US policy acting as a ballerina, to perform at best to avoid clamorous fall downs. The US needs more than ever to recover its own economy, open to immigration, integrate with Russia, entice China to concert, secure energy routes, establish a Maliki/Allawi rotation in unity government in Iraq and help create a rotating unity “Jirga Governance” in Afghanistan. But it needs also to act swiftly and decisively to change the attitude of the Iranian guards, resolve the Israeli Arab conflict and project international cooperation. Assuming that easing tensions in the Korean peninsula is an acquired achievement in the US foreign affairs thoughts, an innovative sunshine policy should be in the making. This has to be coupled to exerting global guidance in synchrony to balancing nations, Brazil, Vietnam, Egypt, Canada, Japan, India, Turkey, Cuba and Lebanon. A wide and global effort directed to generate vision and to implement unison policies. While efforts in the coming decade will focus on rebalancing international economies and currencies, expectation is high that global trade will inevitably witness a growth and an increase in output and in consumption. The requirement for a healthy growth is a task of every responsible citizen. However this can be possible only if sources of energy are delivered to economies to generate international peace. The formula is to have both US and Chinese consumer spending; manufacturing and employment at satisfactory levels. My hope is that after Mid term, US lawmakers will agree on the recipe for growth and extend Tax and regulation holidays for start-ups, introduce a 4 % flat VAT on all items under USD 100, allow further immigration to reach 450 million inhabitants by 2050/2060 and reduce the long term assistance to unemployment up to a maximum of 20 weeks. Furthermore define a plan to transform public waste into wealth, expand exports in goods and services. Invest in infrastructure, education and human resources. Finally elaborate the rational plan to reduce debt gradually, without affecting the maneuver of recovery. But my concern is if the global dynamics will enable above policies to be applied. Risks are many starting from the necessity for Israel to ally Likud & labor with Kadima, halt settlements and exert a major flexibility in talks with the NPA, and for Syria to opt irreversibly for peace and chose the West as a sincere partner. Furthermore both nations will need to reach out in direct talks. I imagine notables Moratinos, Blair, Mitchell, Suleiman, Lavrov and Sarkozy to stand in a joint conference with Assad where he will announce his unequivocal determination to become a peace maker in the ME and a consequent direct meeting Assad/Netanyahu to follow in Paris. Failure to advance with concrete steps in the right direction will leave the citizenry subject to hazardous winds that might well alter the stability and complicate further the geopolitical environment, pronging conflict and instating strife and ultimately war. Positive steps can be the evolution in the US parley/covert action with the IRGC, a breakthrough in peace talks with Federal Palestine, a successful international effort to achieve justice in Lebanon, a Syrian decisive embrace to a new future, a Chinese financial role to pursue a dual track with the US enforcing world order. In the Third Dynamic I explained about different factors governing world affairs today, and elaborated to a certain extent about the dangers, where I prospected the third velocity to obscure if not suppress the movement of the rest during a conflict and a devastating impact. We all know that no party has any interest to start a conflagration, but perpetrators can not hope that crimes and skeletons will be simply put in the closet. And here the indictment of the STL rivets a major importance because it represents the pendulum of intentions either for western culture or for fomenters of death. The solution is not to threaten Lebanon. The regime in Syria must know that it has to take a decision and this is either for peace and with a sovereign Lebanon, or for war and against Lebanon. The IRGC and Hizb can manipulate at will, yet they need to know that the modularity, velocity, flexibility, build up and power accumulated so far and still in process, will oblige them to surrender and to demise. 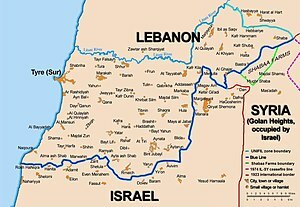 Objective analysts can forecast future projection scenarios, however there are irrevocable lines and these are the security of the state of Israel and the sovereignty, democracy and independence of the Lebanese state and its capability to exert a monopoly of coercion and activate a doctrine of defense. Hope and hostility will always differ, but under no circumstance their interaction will change the US geopolitical perspective to impede Iran from acquiring deliverable nuclear weapons and to exert diplomatic restraint in the Af-pak Theater. Although the STL indictment expected to be issued immediately after 25 November, is considered to be the trigger for a remarkable “Casus Belli”, it is also fairly objective to consider the maneuvers played by the perpetrators, to be laying in agony in the courtyard of determination and resolute attitude. Those who will start the conflict in Lebanon will lose with certitude. The military reaction and the pace of operations are expected to be overwhelming, disproportionate, decisive, aggressive, fast, very powerful, incisive, unrelenting and irreversible. Hezbollah will be eradicated as a military extension, and the IRGC will be decimated and this will portray on the China/Portugal mainland/landmass a major favorable impact for the decades to come. The perimeter of the battle will be only in Lebanon, (as if it expands to Syrian territory and/or to a strategic/tactical bombardment of Iran) its conduct (initiative and pace) will be unprecedented and the outcome will definitely cause the end of the actual impasse in oppressive regimes seeking only survival. The rules of engagement and the extension/linearity/modeling of action will be set by the international community, for the benefit of freedom, democracy and liberal markets and thoughts. While no plan of battle will match the outcome, it is safe to consider that the alliance between the West/Israel/Gulf Countries/Lebanon and at the last minute Syria will oblige the IRGC to desist before committing any strategic mistake. The Syrian commander in chief will ponder a decision if to throw his nation into chaos or to accept the STL and make a just peace with Israel where lots of terrain near Palmyra, will produce enough energy for an ever increasing population in number and in consumer spending. Peace will prevail defended by a formidable armada and an extraordinary display of power. We are at a crossroads, the indictment will seek a peaceful dismantling of Hizb military assets, and whenever this will not occur, the day after, will resemble to an epic tragedy. Diplomats, Charities and NGO’s will have a major role in rebuilding the damages and in expressing sound governance. The only possible future for the area is to grow and to approve a common currency between Lebanon/Jordan/Iraq/Syria/Turkey/Israel/Egypt/Iran and the GCC nations, where failure to oversee this framework will plunge all of humanity into a bad formula. The bad formula will substitute praise to good actions, by indifference to assassinations and to expanding totalitarian regimes devouring universal rights. The review of the US modern Grand Strategy, successfully expressed, by partnering with Russia and concerting with China is widely accepted within the community of analysts as the excellent tool for global governance. The US unique partnership with the EU and with Russia can only benefit cooperation between powers in an era of peace and stability. However, also the empowerment of the US/Sino and Asian/Sino relations will be useful to act as a multiplier to relaxed international relations. Although the global citizenry knows very well that a lot of work should still be done, from widening international trade, boosting common defense and replacing visas by a modern ticket as an expression of friendly borders. And of course securing energy, ensuring water & food, ending with international solidarity versus natural calamities, non proliferation of mass destruction, weapons and UN reforms. It is understood that a basic requirement to apply the Modern Grand Strategy is to recover the US economy. In this intent the filtered ideas seem incapable to gather bipartisan consensus, thus enabling lawmakers to act swiftly on short and long term basis. My expectation is still that a compromise will be reached for an extension to Tax cuts, and for an effective aid to start-ups in extending funds and easing of regulations. While it is less secure that from one side government income will increase by the introduction of a 4 % Flat VAT and from another expenses will decrease by reducing to 20 weeks wrong and very long assistance to labor. Open policy for immigration and education still needs to be implemented to reach a target of 450 million inhabitants by 2050/2060. An adequate rational plan will eventually change public waste into wealth, expand exports in goods and services and invest in infrastructure. Coupling Modern Grand Strategy to US economic recovery is a main engine for peace in considering geopolitical issues from China to Portugal. Acting as a ballerina, The US will recover the US economy, integrate with Russia, concert with China, secure energy routes and stabilize Iraq through an actively help to establish a democratic government. It will also entice a diplomatic Jirga with rational factions in Afghanistan, change the Iranian attitude versus the nuclear file, resolve the Israeli Arab conflict and widen international cooperation. Ease tensions in the Korean Peninsula by exerting patient restraint,and perfect global guidance in synchrony with balancing nations Turkey, Brazil, Vietnam, Egypt, Canada, Japan, Cuba and India. From above, we can presume that some powers will undertake willingly or unwillingly policies leading to relent if not oppose the perspective of US guidance to peace. Based on the historic record of international relations, the modern grand strategy (MGS) will expand the area of peace and common interests although stiff opposition will survive. The recent reprisal of peace talks in the Middle East is the window from which we can best describe the interaction between hope and intransigence. In fact from the US geopolitical perspective, the policy is to partially contain Iran while simultaneously moving forward national unity governments in Lebanon and Iraq. Evidently it will try to actively entice Syria by decoupling it from Iran and by helping it to set a new course. But it will apply also counterinsurgency coupled to diplomacy in the Afpak Theater. To show its strength it already set military bases surrounding Iran and displayed a defensive/offensive build up together to strong sanctions. The ultimate objective is to pressure the Iranian regime to cripple, implode and thus to negotiate the terms of its surrender/demise. While this approach is slowly working, it is not a perfect solution nor a winning strategy to reach out to both the Iranian mainstream and to Israeli security. A thorough analysis will reveal three different movements, the first will eventually lead to a deal cut between Iran and the US , the second will eventually accelerate the preemptive blitz and the third will consist in drawing an always moving red line enabling Iranian influence to test western resolve. The complex interaction between the three movements above already generated a perfect house of falling cards. The reason for this is simple. At first the deal/parlor between the US and Iran will never bring any final framework of understanding, rather it can probably advance small deals a’ la Contras. Secondly the preemptive action either started by Israel or by the US cannot guarantee a credible day after scenario. In fact even if Israel will succeed to erase Hezbollah assets and manage to change the cards in hand of the Iranian Guards, or if the US will disarm the guards from the Hormuz option by a strategic/tactical bombardment that will pulverize the Iranian state, there is no certitude that military contingencies will sufficiently stabilize the Eurasian landmass. Thirdly the Iranian expansion of influence will always move slightly and surely the red line of western resolve, by acting silently and covertly to shake the fundamentals of the modern world order. In front of the impasse, ongoing drills and enduring tension rising here and there, every now and then, I see the need for a game changer. This is a new Russian role in world affairs. If it is true that the USSR was dismantled after the fall of the communist regime, it is also true that Russia is hardly expressing an understandable political role today. The intricacy of the Russian approach seems to me difficult to understand and I believe the chess heroes are wrong. Assuming a US / Iranian rapprochement will lead to a grand bargain, Russian interests will not benefit. Assuming also that Israel or the US will apply coercion and erase Iranian assets, Russian interests will not benefit. Assuming again that Iran will test western resolve by expanding its influence, Russian interests will not benefit. Hence, Russia is at a crossroad in international relations, as much as China is at a crossroads in financial relations. China started trading the Yuan for Malaysian currency and soon also for the ruble. Russia by contrast needs to do something in the political field to generate peace and effectiveness. Russian policy makers need to reflect and realize that they are entitled to become masons of the house of stable cards, by cementing international relations and evolving their diplomatic status to a leading international power, rather than applying old bad policies. Russia needs to integrate with the EU and the US fast and to cooperate with the US strongly acting as a game changer to world affairs. The upcoming period can be either full of suspense and intrigue leading to a disaster or it can be smooth and surprising where Russian political and monetary integration with the west will advance peace in the world.